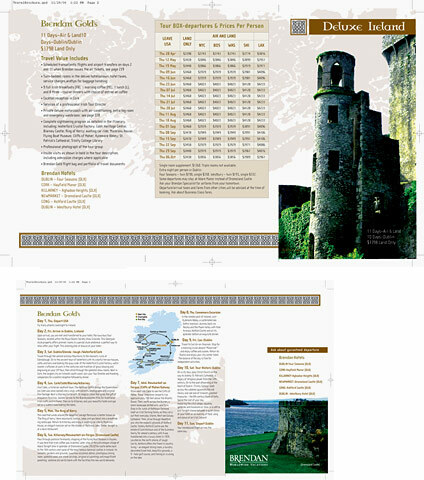 This brochure design is for a travel agency that organizes trips to Ireland. The Z-fold design borrows traditional Celtic symbols, which are used throughout the layout. It was finalized using QuarkXPress.